A safe smile is a unique challenge for athletes, especially during the warm summer months. With all the outdoor sports going on, many physically active people are running across the court or the field without the protection their teeth and gums need. That’s why you should come to Times Square Dental for an athletic mouthguard. Our custom guards are a smart choice for your smile here in Boise, ID, and today’s infographic shows you a few reasons why! 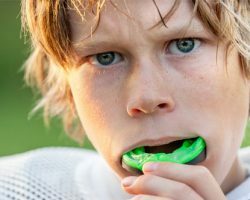 Protect your smile while playing hard this summer, and call Times Square Dental today at 208-278-1069 fill out our convenient online form to schedule an appointment for an athletic mouthguard!